Mt. Annapurna IV lies in the heart of the Annapurna mountain range and is situated between the summits of Annapurna II and Annapurna III by a spectacular ridge that connects all three mountains. This ridge is an amazing wall, which includes Annapurna I (8091m. ), Annapurna II (7,937m. 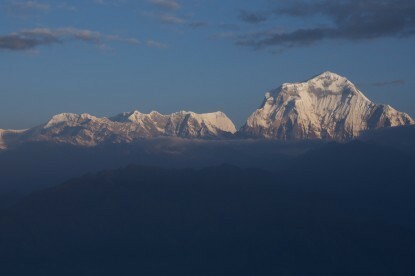 ), Annapurna III (7,555m. ), Annapurna IV (7,525m.) and Annapurna South (7,220m.). The famous Machhapuchre (fishtail 6,993m.) 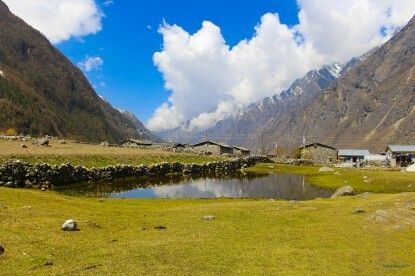 is also located in the Annapurna range. Annapurna IV is relatively an easier mountain to climb among all the Annapurnas. Earliest expedition teams in the Himalayas had used Annapurna IV to build up their team to ascend other formidable Himalayan peaks. Above Camp, I the route from Camp 2 to Camp 3 becomes steeper requiring fixed rope on some of the more difficult sections including a bergschrund that has to be crossed. Camp 3 is at an elevation of 20,500 ft and sits at the junction of the North Ridge and Summit Ridge. It sits on the "Dome" of Annapurna IV and affords us an incredible view of the Summit Ridge. The climbing on this section will be very demanding as we will be climbing some steep sections on the Summit Ridge proper as well as traversing some steep slopes below the summit with possibilities of encountering some rocks on the summit pyramid. Arrival in Kathmandu airport, meet our staff then transfers to Hotel. Drive to Khudi 790m. and walk to Bhulbhule. Overnight. 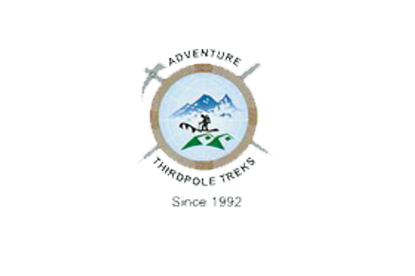 Sabche Khola – Annapurna 4th Base camp 4500m. Climbing Period Annapurna 4th 7525m. Expedition. Clean up Base Camp – Mananag 3351m. 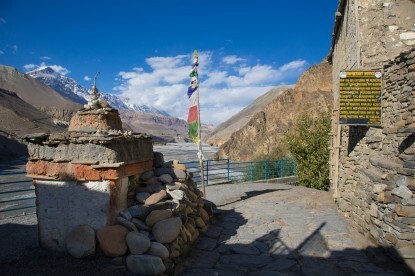 Manang – Thorong – La Phedi 4010m. Phedi – Thorong La pass 5416m. – Muktinath 3802m.Overnight. Tatopani – Beni 820m. Overnight at Lodge. Beni – Pokhara 915m. by Bus and transfer to Hotel. Drive to Kathmandu by tourist Bus then transfer to Hotel. Last minute, transfer to airport for onward journey.